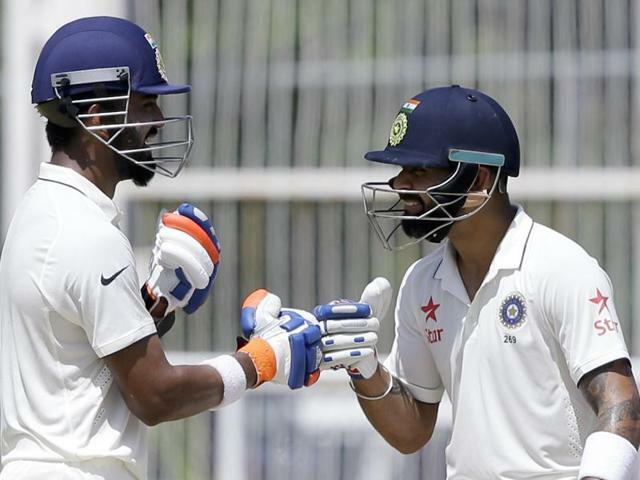 Jayant Yadav and Virat Kohli scratch up a 50 plus partnership to take India to 451/7, after Joe Root clunk middle order. By Keeping stable as middleorder collapse around him civility Root's golden arm, Virat Kohli punt up a 50-plus partnership for the eighth wicket with Jayant Yadav. Murali Vijay has scored eighth test century, was caught out by Adil Rashid on 136 runs. Together they crack away at England's total bit by bit. India's scorecard was 247/2 by afternoon. At the end of second day’s play on Friday, India was at 146 for 1. Now India leads the five-Test match series 2-0.